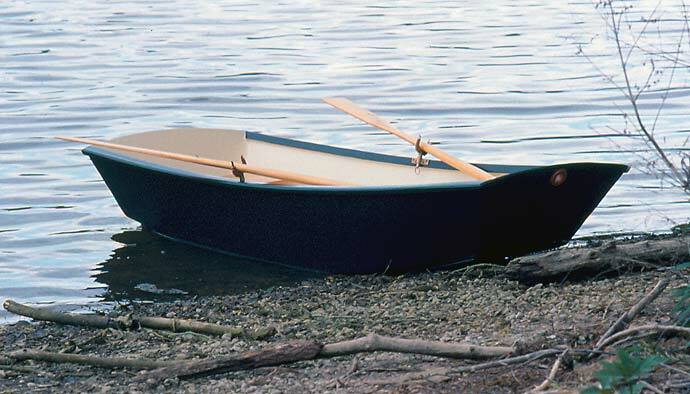 Dale Austin launched this little dinghy in the fall of 2002. She is a Chuck Merrell Apple Pie design (Merrell Watercraft, chuck@boatdesign.com). Using the stitch-and-tape method, she is constructed from plywood and oak covered with epoxy. Dale sails her in the local millpond and canal in Tecumseh, MI, and hopes to build something larger someday.